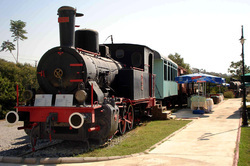 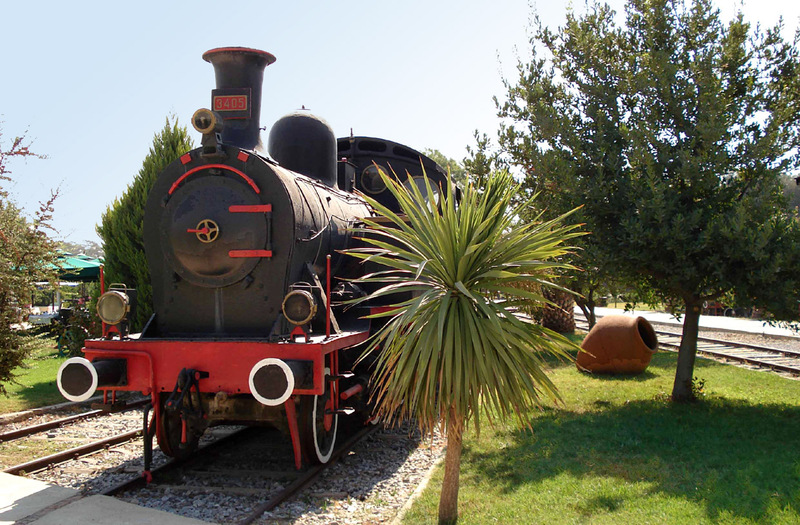 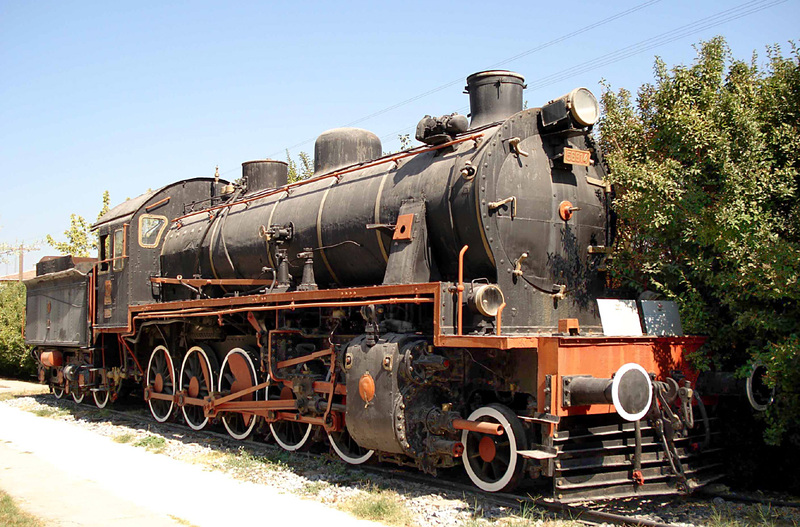 Camlik Railway Museum nr Kusadasi in Turkey 08 September 2008. 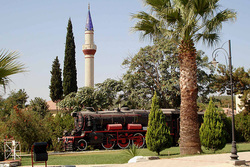 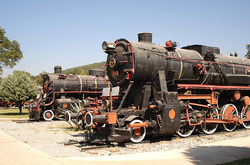 Situated about 10 miles inland from the Port of Kusadasi this fabulous open-air museum contains over 30 superb Turkish Steam-Engines either parked around the old turntable or placed in the grounds on short lengths of track.Spacing is excellent enabling good photography with no obstructions.This location used to be the Loco Depot for Camlik but was closed when the line was diverted.Well worth the 50 euro's it cost for the taxi ride to get there! 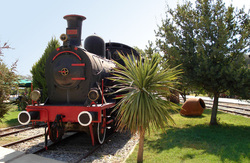 I visited this superb Museum during a Port stop-over at Kusadasi whilst on an Eastern-Med Cruise.Taxi Driver in the Town Centre there was somewhat bemused that I wanted to go to the Railway-Museum at Camlik and not the usual tourist destination nearby of Ephesus (An old Greek Ruin).I know which one I preferred! 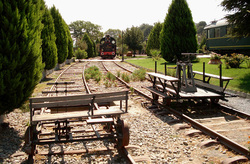 Breaking news in May 2011 is that this Museum may be on the verge of closure and future of all exhibits uncertain.All rather worrying! 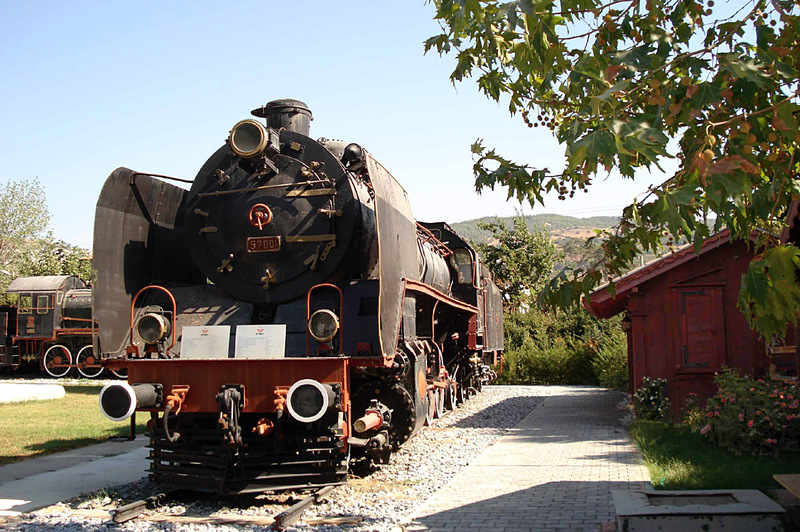 Another view of '140' nestling under the bushes in a corner of the Camlik Museum site. 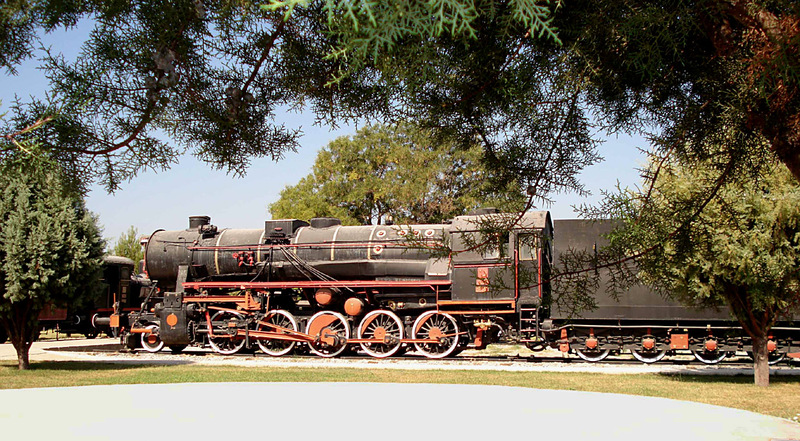 34068. 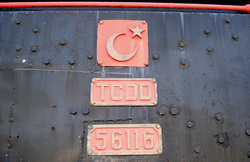 Based on TCDD inventory list, this unit should probably have number 34056 - Nohab n°1843. 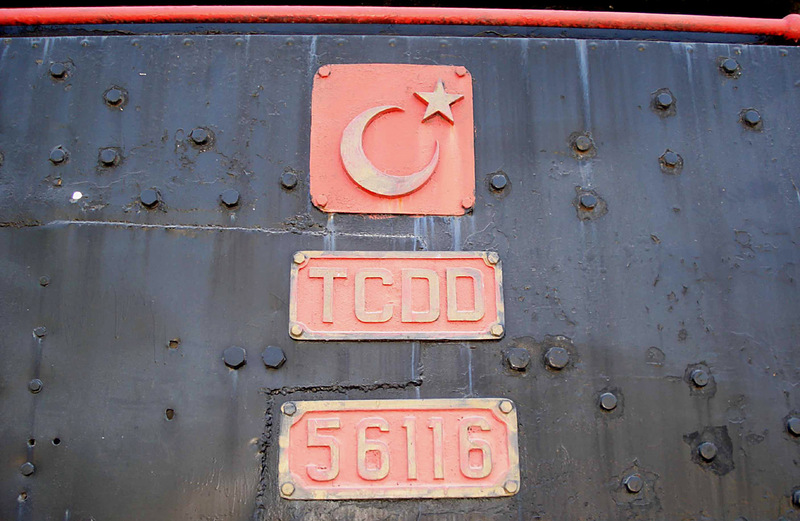 Tender-end showing that TCDD engines actually carried the loco number on the tender as well as the engine itself. 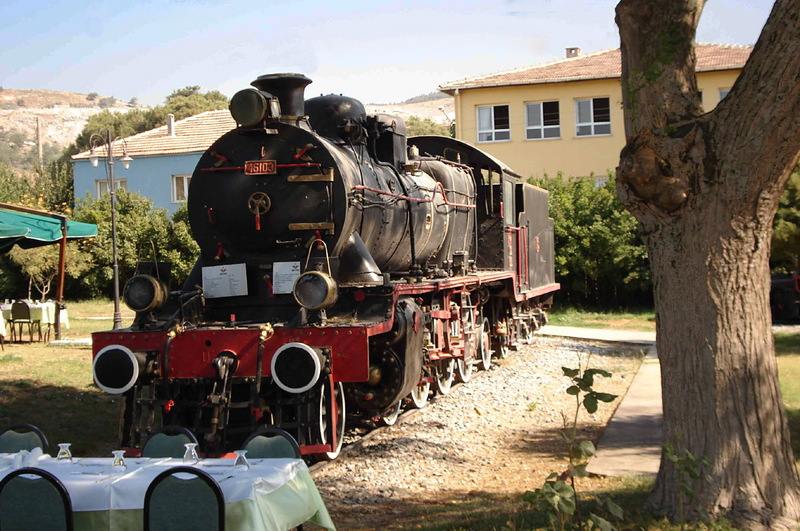 '46103' stands adjacent to the picnic tables here at Camlik.These are used to feed the masses during the afternoon stopover for refreshments for tourists who have been visiting the Greek Ruins at Ephesus a few miles away. A UK build engine by Stephenson in 1929 and an ex ORC Rly machine. 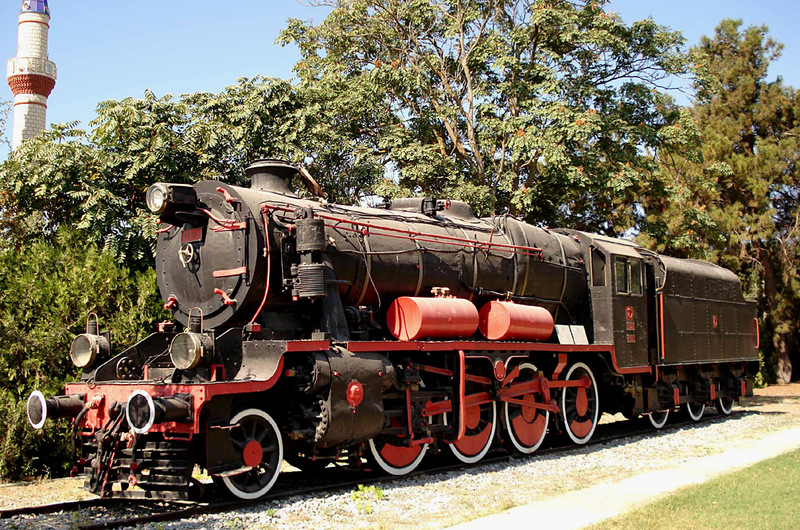 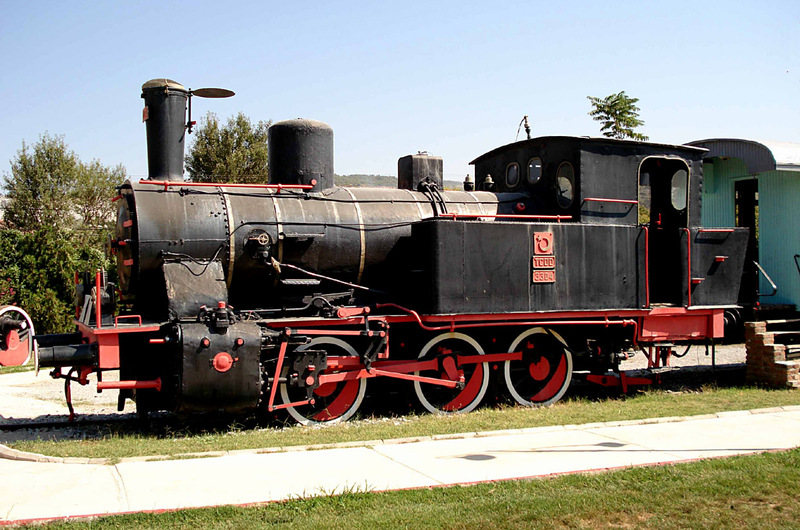 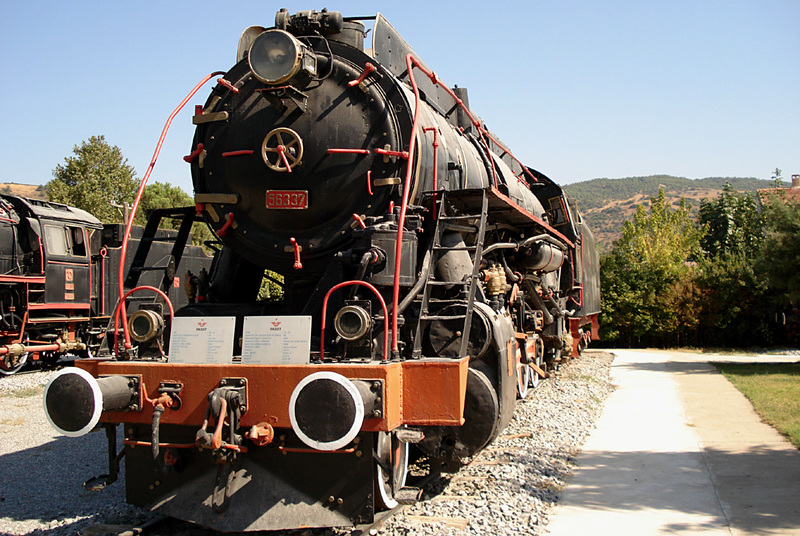 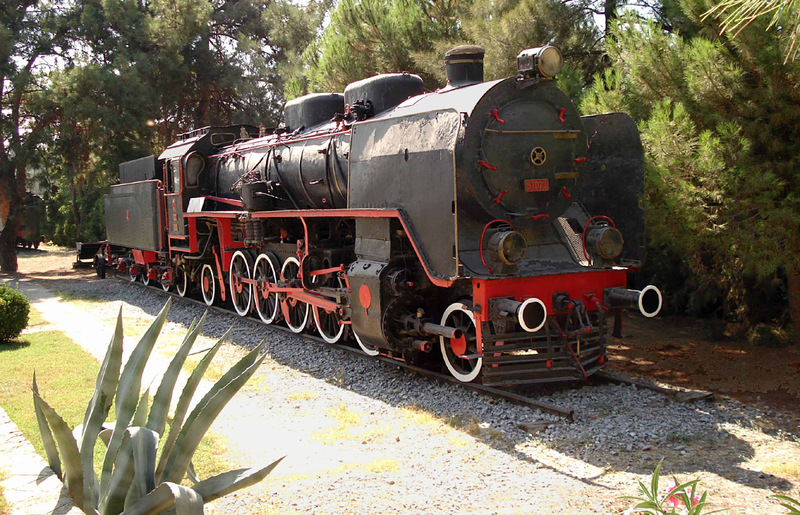 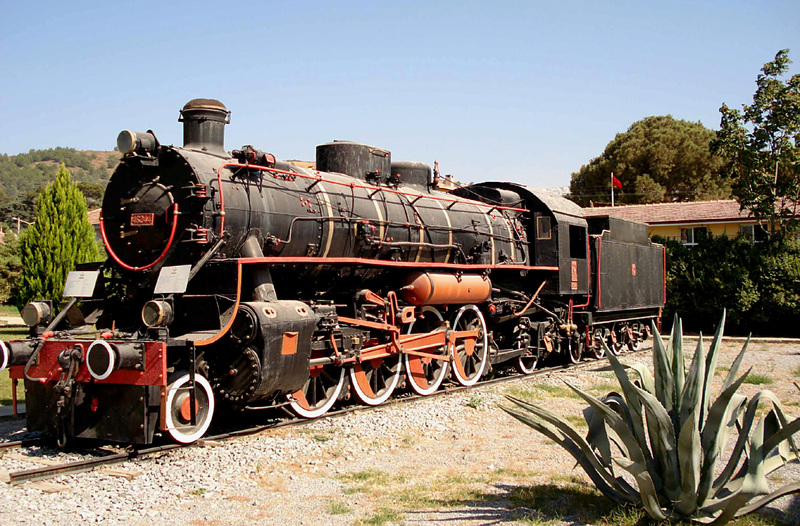 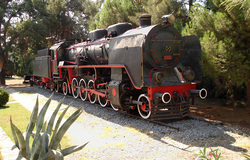 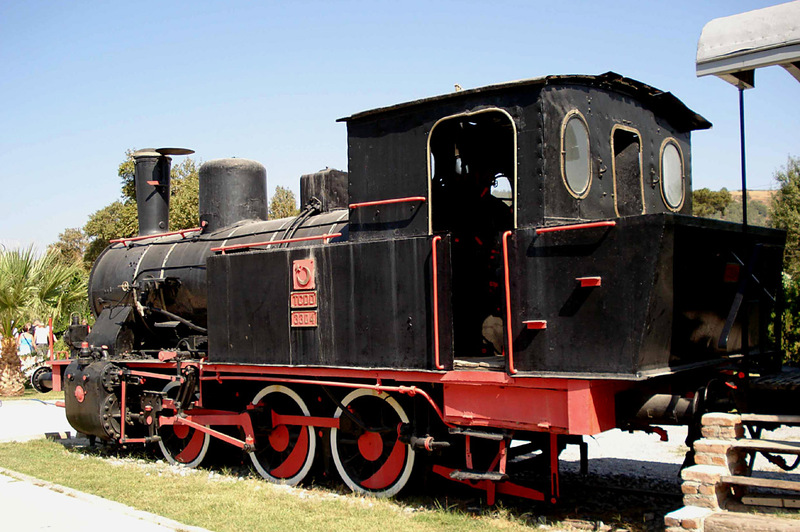 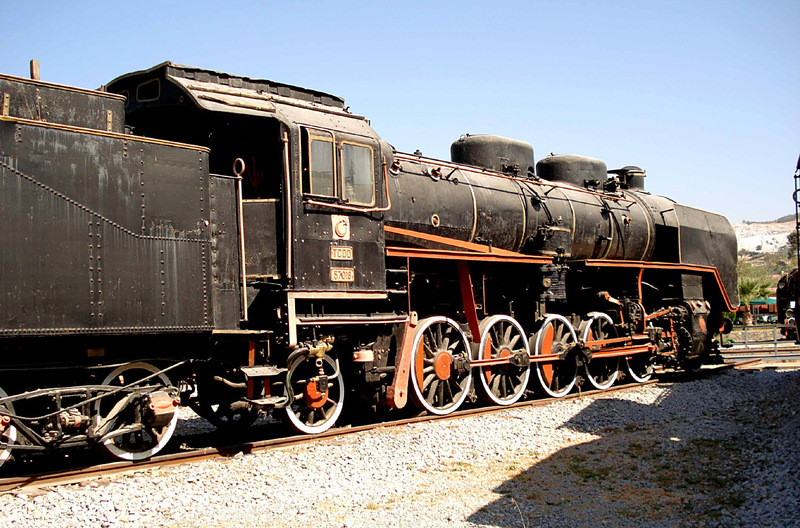 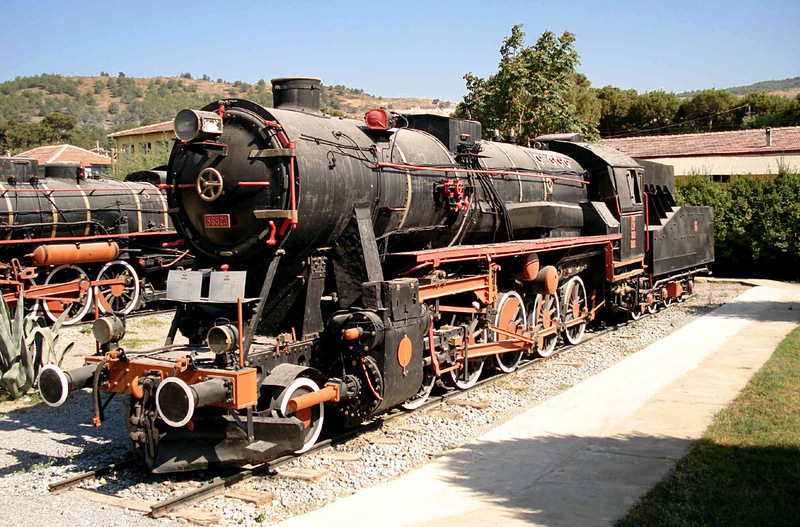 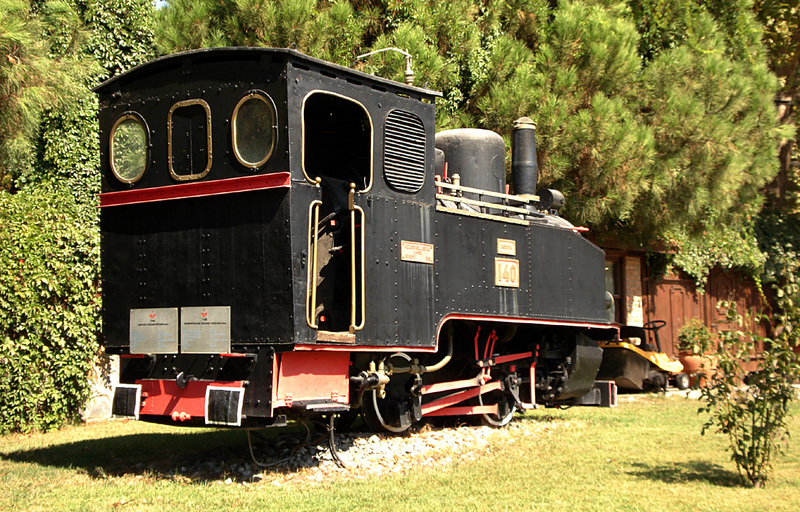 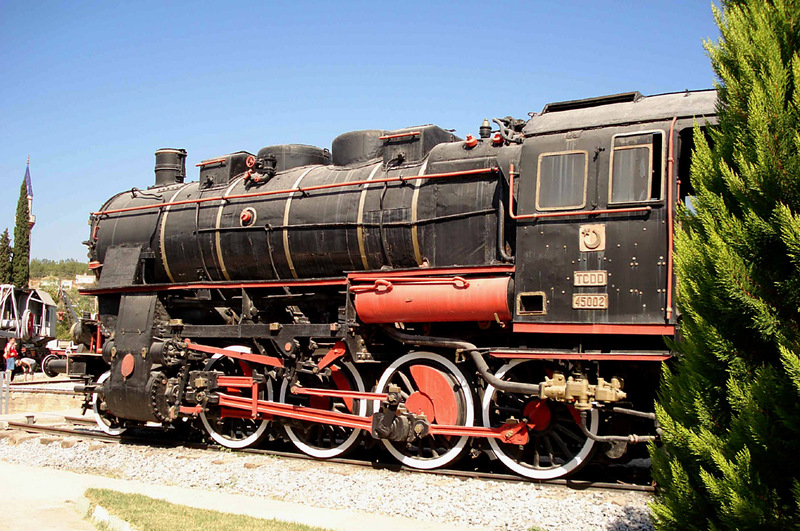 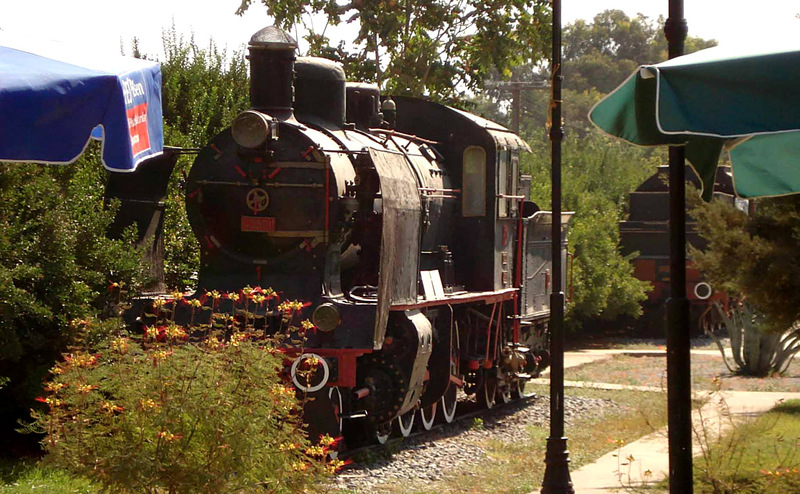 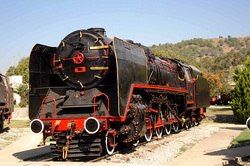 Another view of the 'Skyliner' 56337,the 2-10-0 USA built 'semi' at Camlik. 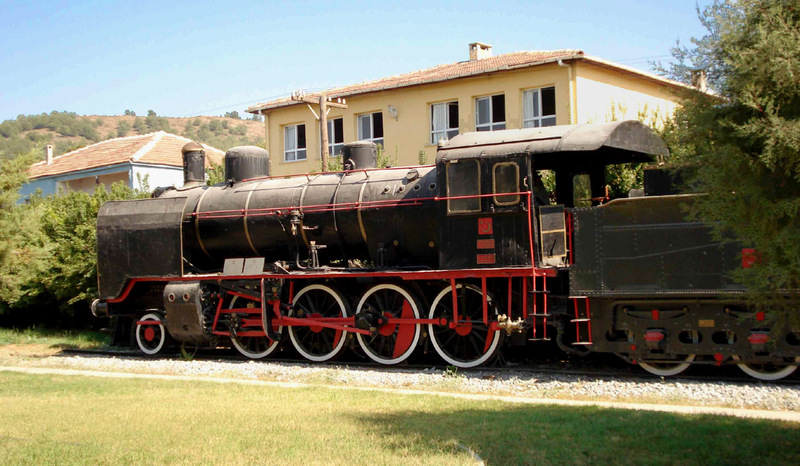 '56914' another mighty 2-10-0 constructed in 1926 by Corpet-Louvet for the SCP-Railway.Altogether eight were built and worked into the 1980's and the end of steam in Turkey.Four survive,two at Camlik,this one and 56917 seen below plus two more dumped examples. 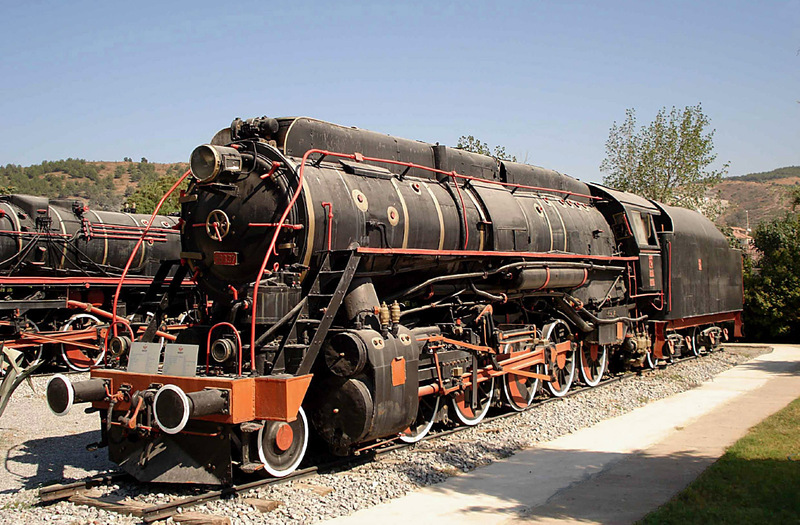 '57023' another member of the '57001' class. 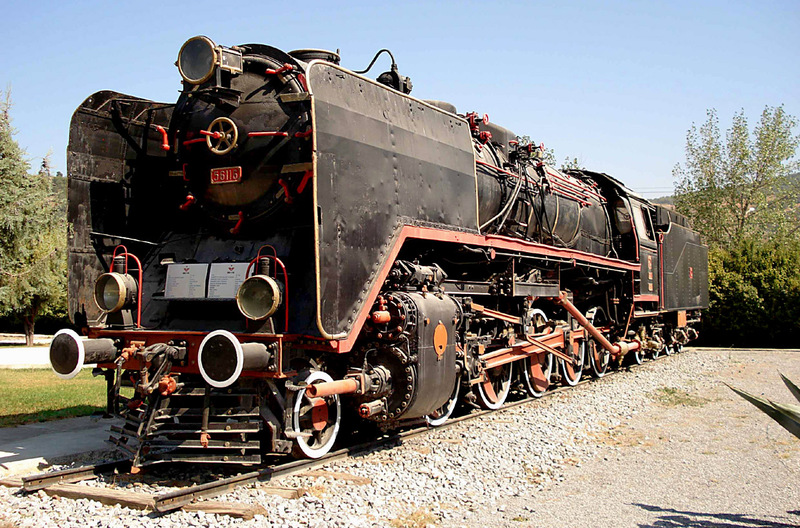 Standing around the turntable are 0-8-0 44041,a Henschel steam rotary snowplow n°4 built in 1912, 46025 a 2-8-0 and 56130.A 2-8-0 CKD from 1949. 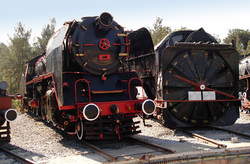 46025 and 56130 stand side by side around the turntable in the baking sun. 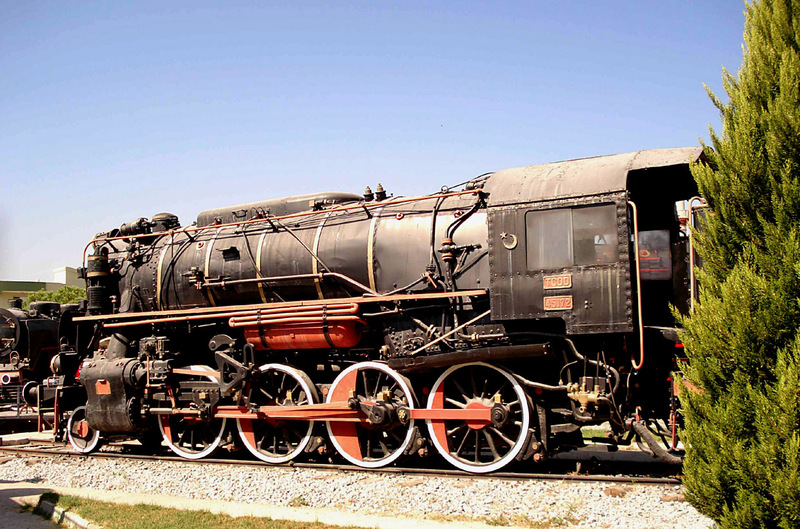 1948 Vulcan Iron Works-USA,(works number 4852) Skyliner 56337 and 1948 Beyer Peacock (works number 6960) 56116 stand isolated on their short lengths of display track. 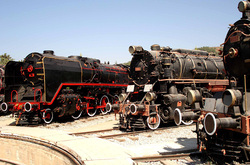 1943 MBA 13926 DRG 52 "Kriegslok" 56523 and classic looking 46244 a 1942 Alco 70111 USATC S.200 "Middle East" Class. 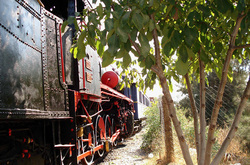 Viewed sitting in the sunshine. 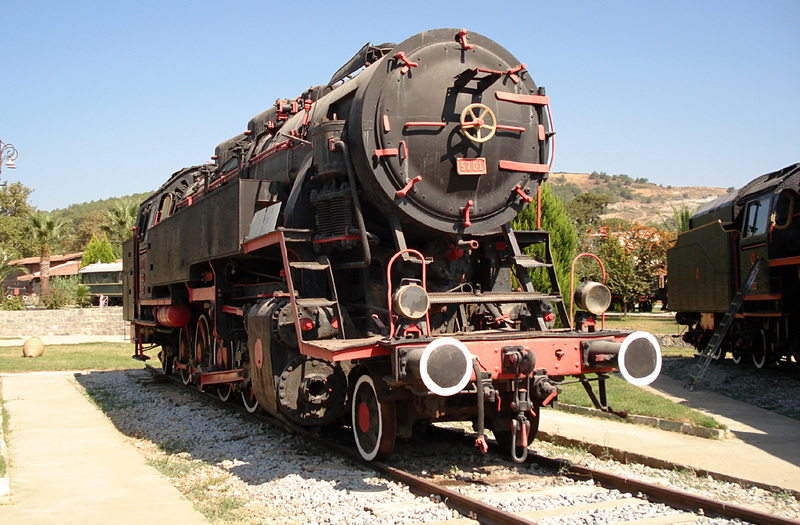 46059 1937 Henschel 23659 Previously in Konya, arrived in Nov 2005 and 45172 a 1943 Lima 8341 USATC S.160 and 45132 a 1912 Humbolt 809 Ex SCP Rly. 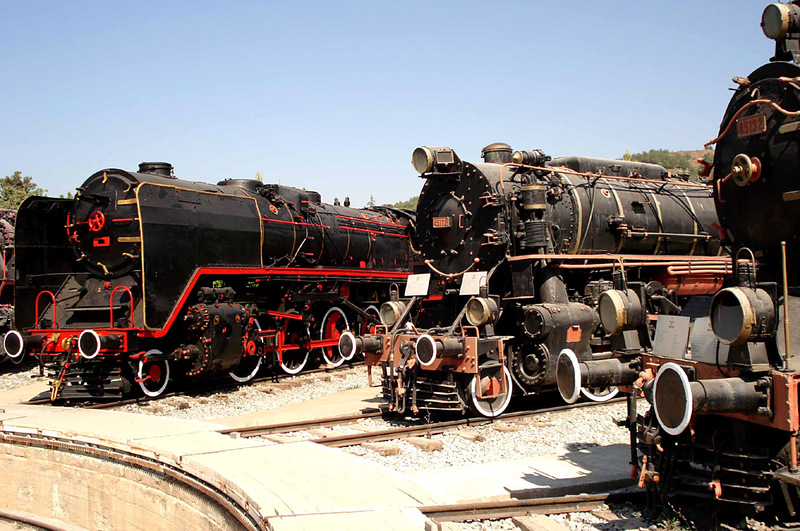 With the surrounding mountains as a backdrop 45132 a 1912 Humbolt 809 Ex SCP Rly and 45002 a 1927 Nohab similar to KPEV G8.2 plus 46005 a 1926 Henschel previously in Camlik station,arrived in 2007. 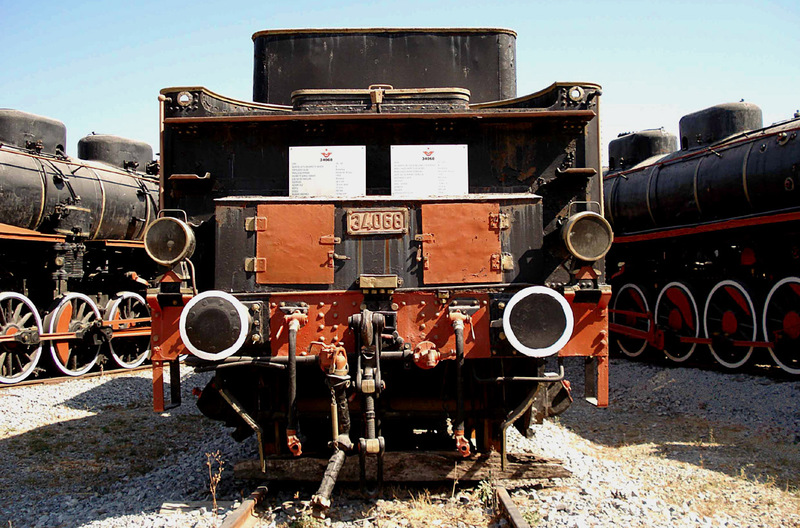 Finally just in view and my only shot of this engine here is 56712 a 2-8-0 1943 Batignolles DRG 44 type formerly SNCF 150X82. Section-4 Odds and Ends of Interest around the Site. 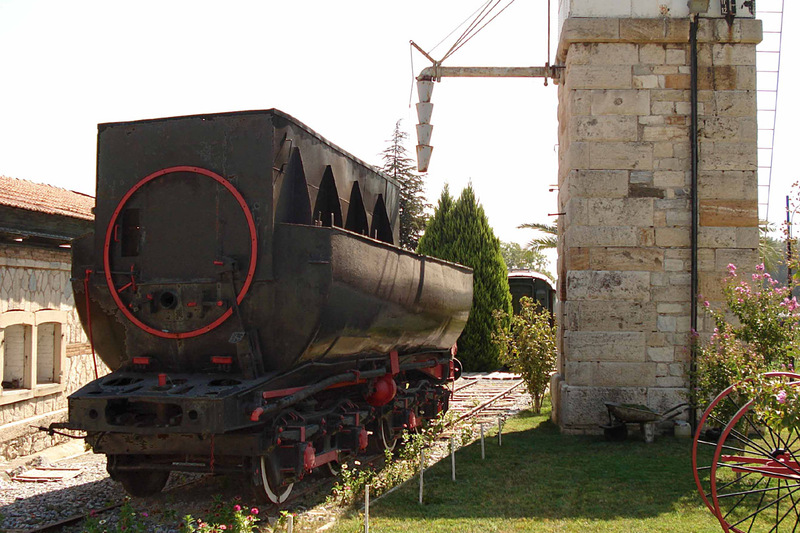 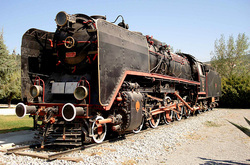 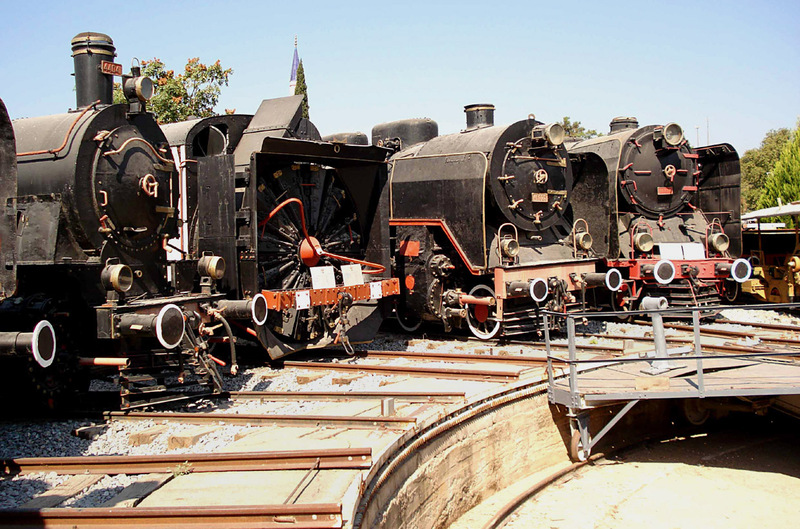 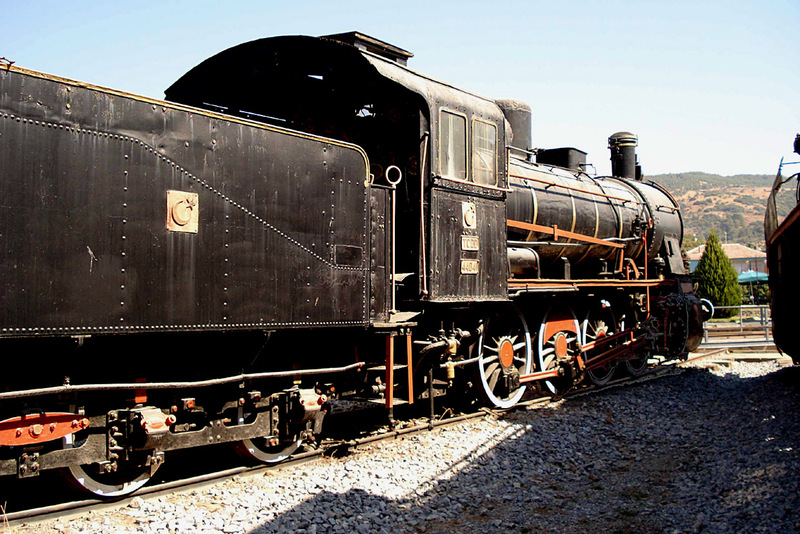 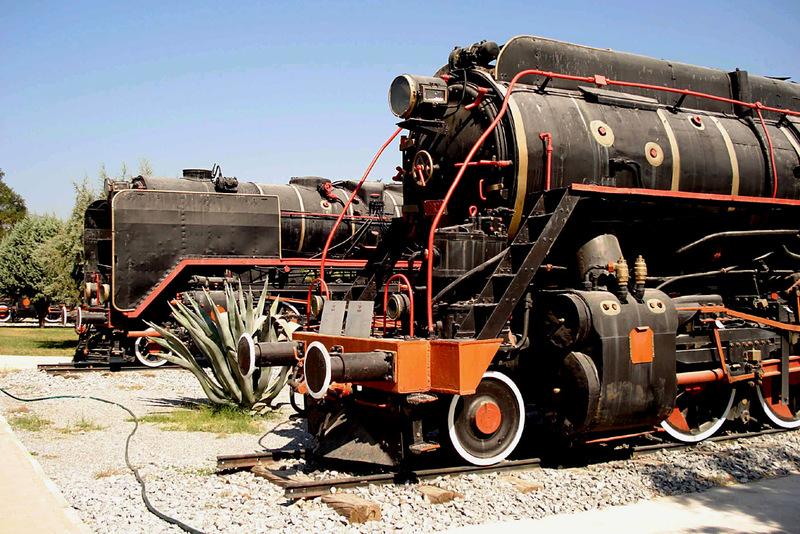 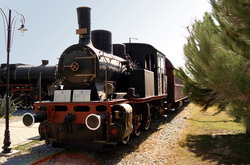 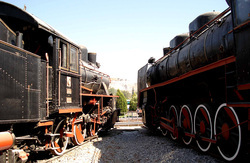 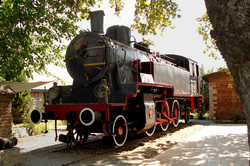 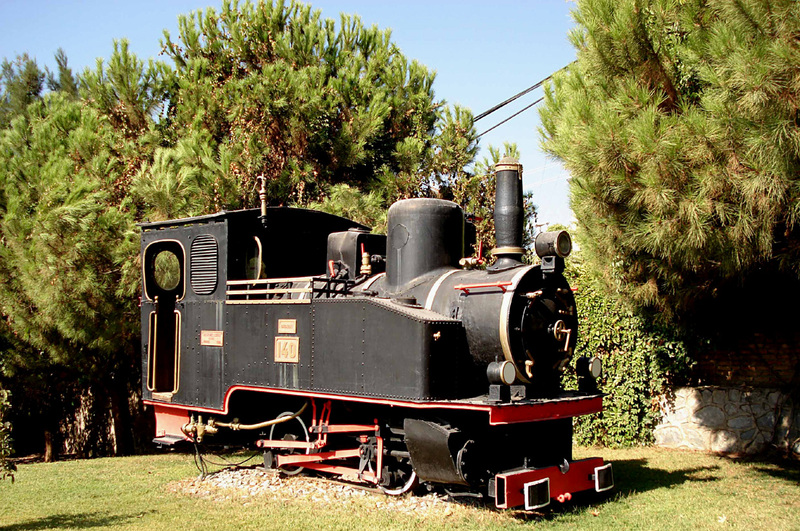 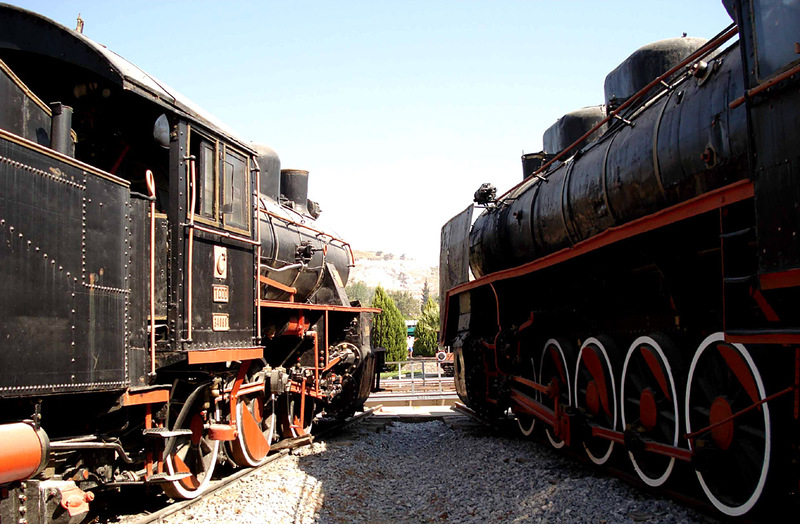 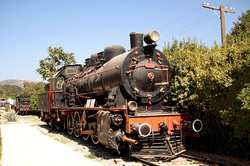 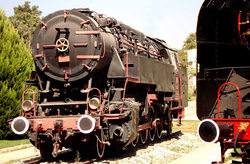 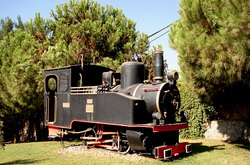 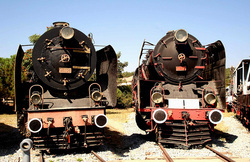 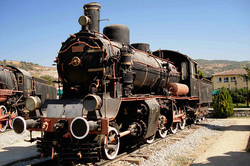 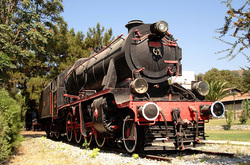 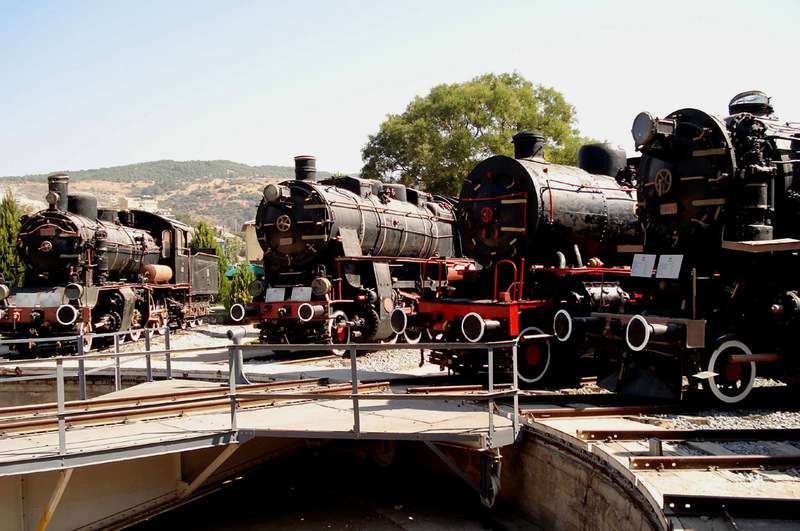 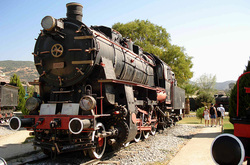 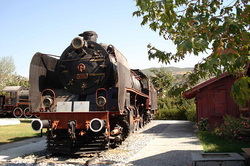 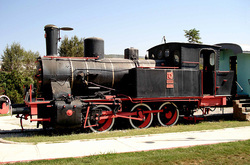 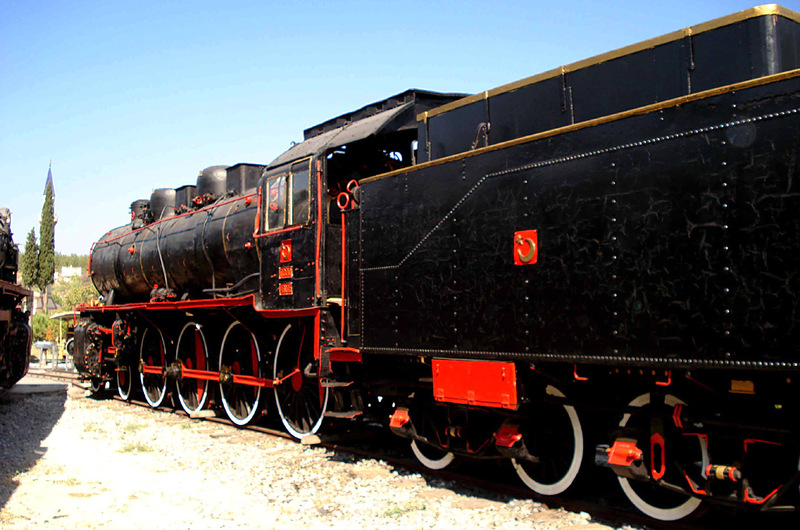 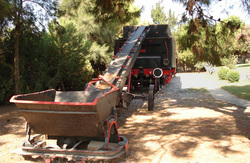 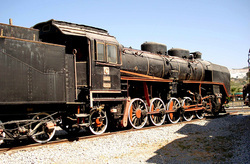 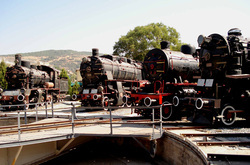 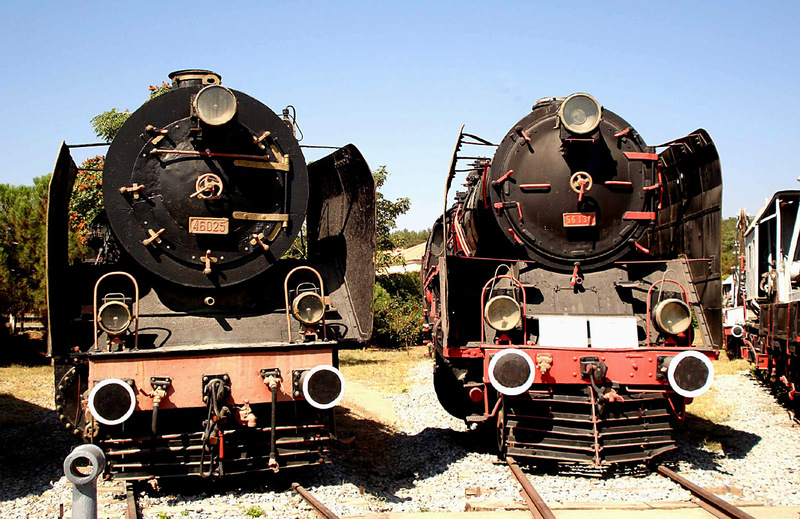 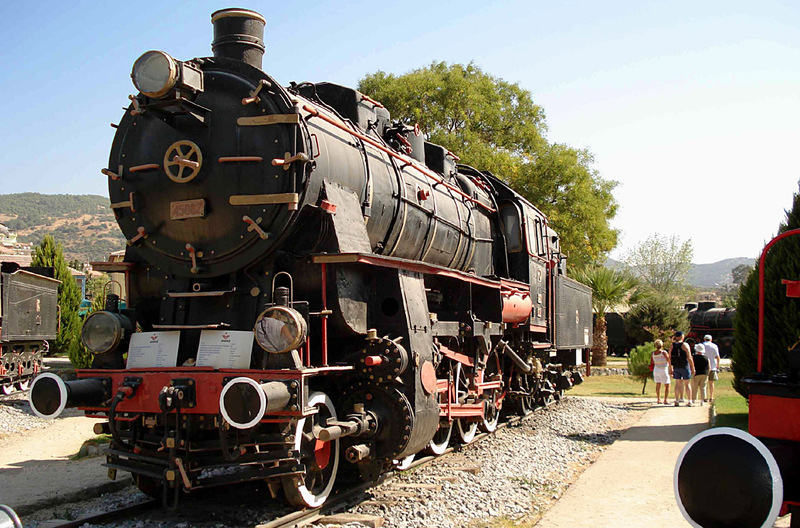 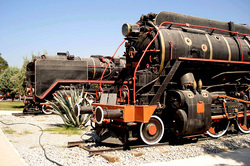 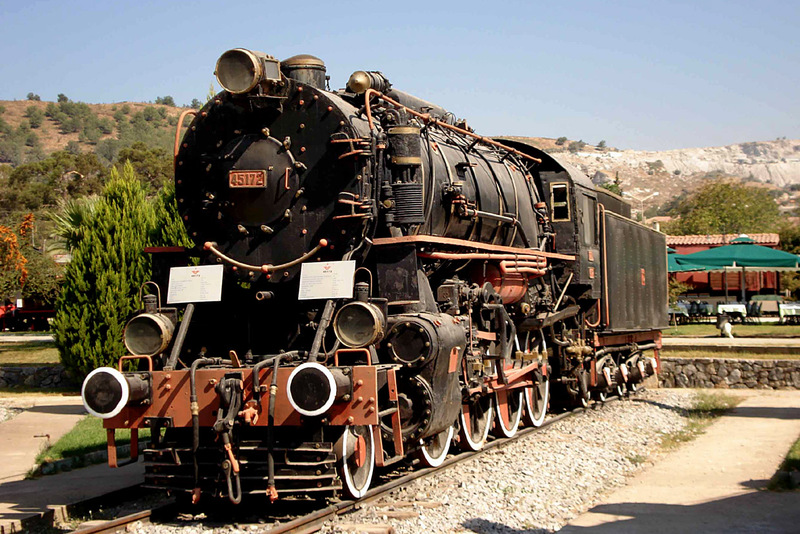 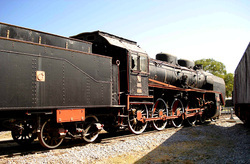 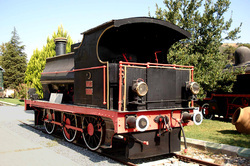 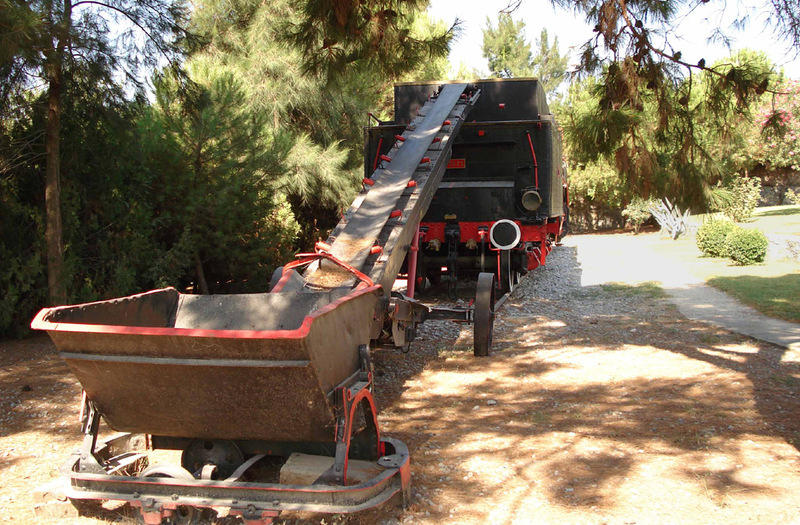 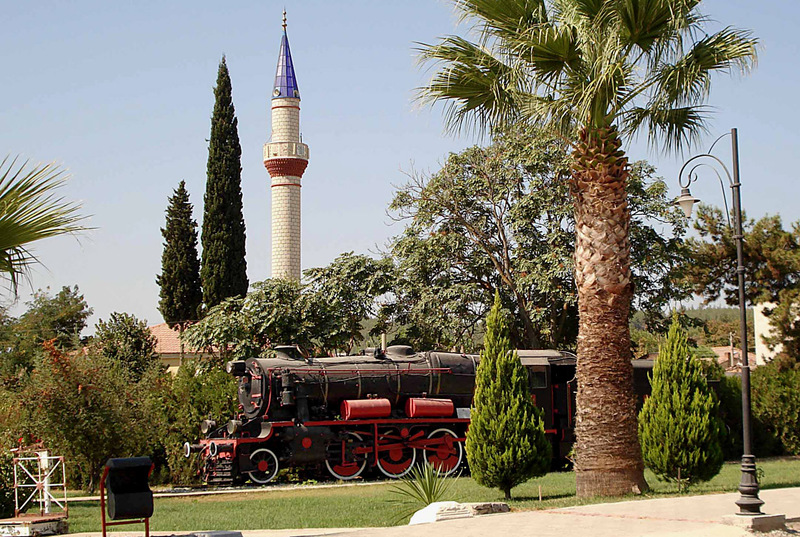 The Turkish way to replenish the tender of a mainline steam engine! 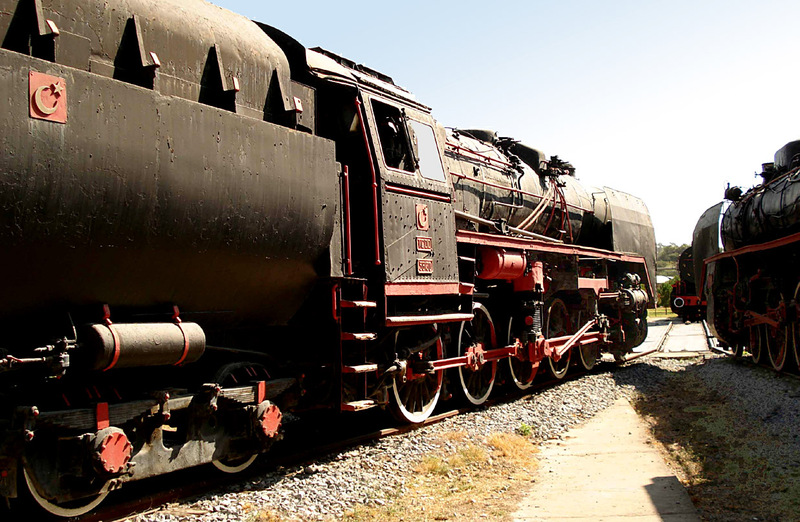 Loco being 're-coaled' is 57023,a massive 2-10-2 heavy freight engine. 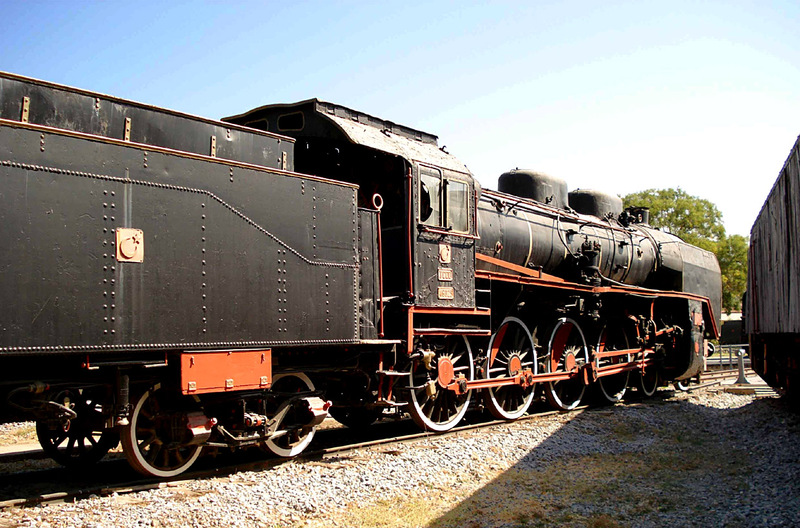 A spare tender type K2'2'T32 Wanen from a BR52 Kriegslok stands next to the Watertower in the old Depot area. A view of the small servicing shed still standing here a Camlik. 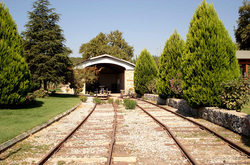 Footnote-----All photogaphs were recorded at Camlik using a Sony-DSC-W50 6m-pixel Compact.A perfect piece of kit as long as the subjects are stationary due to the usual 'shutter delay' experienced with this type of camera! 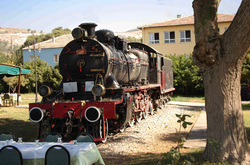 A Superb 'Holiday' Camera.